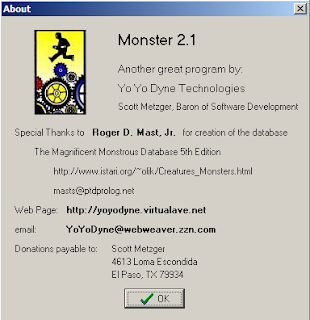 Monster is one heckofa program. First it uses the Magnificent Monstrous Database 5th Edition (worthy of mention for the sheer size of it) and its already set up for 1E/2E games. 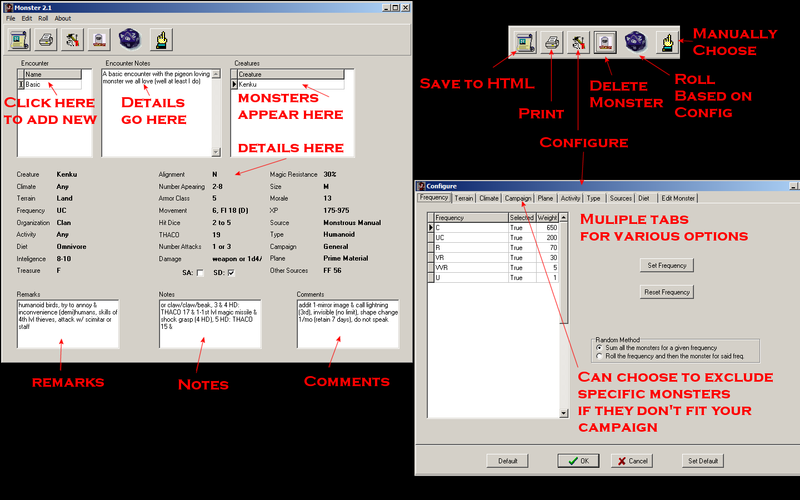 You can quickly print out a set of monsters via HTML or hardcopy for use at the table, and it has a configurable system that allows you to choose what/how to set up the database to fit your campaign. Don't need monsters from Birthright? Set the marker to False for them and they won't be included in your searches. You can edit monsters quickly and easily, and if you need to create an encounter its flexible enough to add in Name and background info for the event. 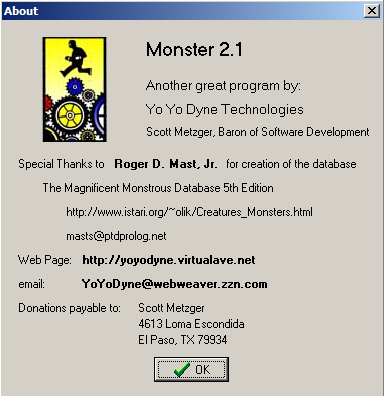 Overall, while Monster has been updated to 3.0 standards, I lean towards this version due to its ease of use with my 1E games. Well worth owning.